Book this 2-day Matsushima local experience tour that includes homestay, fishing experience, VIP access to a historical tea house and much more! 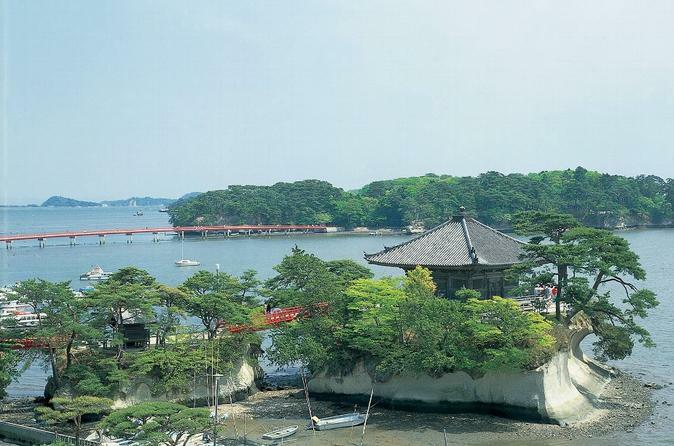 Matsushima is well known as one of Japan’s three most scenic destinations. Matsushima is famous not only as a popular destination with amazing landscapes for Japanese people but also as a historically important location for being a base of the shogunate during the Sengoku (Warring States) period. Your tour guide will show you the mesmerizing view of Matsushima while telling you the story about the local legendary warrior, Masamune Date, the samurai ruler who was known as ”Dokuganryu” (one-eyed hero) as he could only see with one eye. 11:00 AM - Go to a famous sake brewery. Learn about the sake manufacturing process and enjoy sake tasting. Tea ceremony will be held at a property that is not open to public. Enjoy VIP access to a private tea room with beautiful traditional Japanese wall paintings. Later, a walking tour will takes you to some of the most popular attractions in Matsushima including the Zuiganji Temple (National Treasure and Important Cultural Property), Godaido Temple (Important Cultural Property), Entsuin Temple and, if time allows, Pine Tree of "Saigyo Modish".